If you think all old-line companies in America’s industrial heartland are basket cases, think again. That’s a false narrative. Many industrial firms based in the United States don’t need red caps emblazoned with slogans; they’re already great. Below, I pinpoint three industrial sector stocks that are future bonanzas for investors, but they tend to get overshadowed in the financial media by the Silicon Valley stars. Sure, the world has shifted to an information-based economy, creating winners and losers. But in recent years, a quiet revolution has unfolded in the U.S. economy: many domestic industrial companies are in the ascendancy. They’re streamlining operations, spawning innovation and adding jobs. Let’s look at three of the best industrial stocks to buy now. They all sport reasonable valuations, stellar growth prospects, and rivers of free cash flow. As flashier technology stocks hog the media spotlight, these unsung industrial heroes beckon. 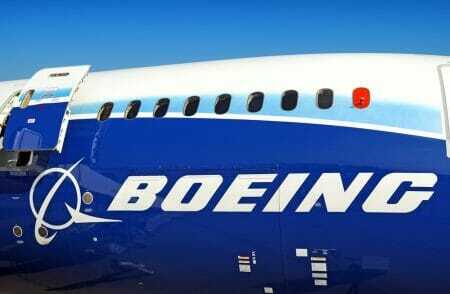 Boeing: The world’s biggest maker of commercial and military aircraft. 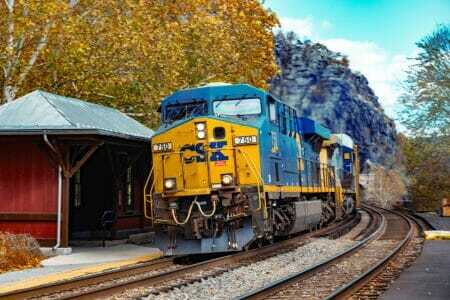 CSX: The leading hauler of goods via railroad. United Technologies: A conglomerate that benefits from diverse operations. Keep reading and you’ll learn more about each of these winning industrial stocks and my thoughts on each. Industrial stocks are the publicly traded shares of companies involved in construction, machinery, waste management, tools, housing, fisheries, forestry, aerospace, defense, cement, railroads, automobiles, and more. The industrial sector produces goods, as opposed to services and raw material products. Industrial stocks are cyclical and consequently susceptible to economic ups and downs. A weak economy means consumers spend less, which translates into lower demand and fewer goods and services produced by industrial firms. Consequently, the more diversified an industrial player, the better. How Do You Determine The Best Industrial Stocks? The best industrial stocks will grow during periods of economic expansion. Their management understands how to quickly shift into more efficient manufacturing processes when the economy signals it’s following an upward trajectory. Executives who run top-performing industrial companies realize that boom times offer their best chance of success. They’ll ramp up production and hiring to ensure the optimization of the economic growth cycle. Industrial companies also perform best when they enjoy a nearly monopolistic lock on their respective markets. When times are good, the best industrial stocks produce high income and cash flow. That’s important, not only to keep the business running during the good times, but to provide a backstop when the economy slows down. One of the biggest problems an industrial stock can face is carrying too much debt. If the economy slows, the company is not able to produce enough cash flow, or does not have enough cash on hand to pay interest on its debt. The result could be bankruptcy. To blunt the effects of a slowing economy, the more types of businesses an industrial company has under its umbrella, the less likely the downturn will affect the company as a whole. Industrials include many different subsectors that don’t all move in tandem during economic cycles. Some subsectors will retain strength while others struggle. Now, let’s get to our three best industrial stocks. With a market cap of $221.1 billion, Chicago-based Boeing is the world’s leading manufacturer of commercial and military airplanes. In addition to stalwarts such as the 737 and 747, which are staples of airline fleets around the world, Boeing continues to win big orders for its 787 Dreamliner. The Dreamliner is a long-range, twin-aisle passenger airliner whose all-composite construction makes it more fuel efficient, quieter and easier to maintain than other aircraft in its class. Boeing also is a major defense contractor and manufactures the fighter jets and drones that enjoy consistent demand from the Pentagon and foreign nations. Founded in 1916 by inventor and entrepreneur William Boeing, the company has done more than any other company in its field to drive advancements in aviation, such as the use of revolutionary carbon composites in aircraft manufacturing. Economic growth, aviation’s expansion and Boeing’s reinvention as a high-tech aircraft manufacturer position the company for growth in 2019 and beyond. Boeing makes military aircraft that are coveted by not only the Pentagon and developed countries, but also emerging nations embroiled in regional disputes. The Pacific Rim is a particularly lucrative source of new contracts for Boeing, as China and Japan square off in the South China Sea and other contested areas. Boeing also makes missile, laser and guidance systems for the military and has contracts with NASA to build satellites. To be sure, Boeing faces temporary headwinds right now because of the recent deadly crashes of its Boeing 737 MAX 8/ MAX 9 passenger jets. In April, the company discovered yet more software glitches with the plane, which has been banned from flying by regulators around the world. The plane also is encountering order cancellations. Boeing is accused of cutting corners on pilot safety training on the aircraft; the scandal continues to unfold. This video provides more details about the two deadly crashes and sheds light on Boeing’s culpability. Chances are, though, that the problem eventually will get resolved. Boeing enjoys enormous lobbying clout in Washington, DC. Indeed, the U.S. Secretary of Defense, Patrick Shanahan, is an ex-Boeing executive. Mega-cap companies such as Boeing are so entrenched, they typically weather scandal. This is the sort of stock that I like to buy on dips. BA’s 12-month forward price-to-earnings ratio (FPE) is 19.3, roughly in line with the median FPE of 19.8 for the global aerospace/defense industry and cheap compared to the S&P 500’s FPE of 17.5. BA’s free cash flow came in at $13.6 billion in 2018, up from $11.6 billion in 2017. The average analyst expectation is that Boeing will generate five-year earnings growth of 22.1%, on an annualized basis. The dividend yield is 2.10%. Based in Jacksonville, Florida, CSX operates about 21,000 route miles of track in the Eastern U.S. and the Canadian provinces of Ontario and Quebec. With a market cap of $60.4 billion, CSX combines new technology with roll-up-your-sleeves industrial activity. The stock may lack glamor, but CSX continually upgrades its infrastructure and embraces the latest advances in transportation. Resilient strength in the housing and automotive sectors also is boosting CSX’s freight volumes. Another boon for the railroad is the growing popularity of equipment that’s “intermodal,” which is containerized freight that can move by either rail, truck or ship. CSX’s trains carry just about anything you can imagine that is available in bulk: chemicals, automotive products, agricultural and food products, fertilizers, metals, coal, minerals, and forest products. During the 19th century, railroads were considered the latest in technology; they represented the Internet of their day. Automobile makers earned the same distinction in the early 20th century. The railroad industry has long been a barometer of economic health, ever since the Golden Spike joined the rails of the First Transcontinental Railroad across the United States in 1869, at Promontory Summit, Utah Territory. Trains may seem like creaky relics of yesteryear, but the truth is that they are a critical part of the American economy. Items need to be moved to keep the economy going. Many items are too big for planes, cars and trucks. Trains handle those massive loads. Trains are efficient, they can haul tons of items, and they are safe. CSX faces virtually no competition. The high cost of fixed asset capital investment needed to lay, expand and maintain railroad tracks, terminals and other infrastructure creates a daunting barrier to entry. If a railroad has been around since the 1800s and maintains a lock on lucrative territory, it has the ability to recoup rising operating costs fueled by inflation by raising freight rates, fuel surcharges, and other fees. CSX wields pricing flexibility. Customers who need to get their product to market have no choice but to pay up. Railroads also benefit from inflationary economic expansions, as demand for their services grow. CSX’s FPE is 17.4, cheaper than the median FPE of 18 for the global railroad industry. The average analyst expectation is that CSX will generate five-year earnings growth of 11.7%, on an annualized basis. Cash flow in 2018 came in at $2.9 billion, compared to $1.4 billion in 2017. The dividend yield is 1.26%. Based in Hartford, Connecticut, UTX is a diversified company that develops and provides high technology products and services to the construction and aerospace industries. 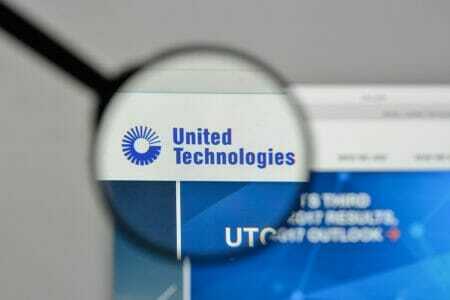 With a market cap of $115.3 billion, UTX also is a major defense contractor. The company sold its Sikorsky Aircraft division, maker of the storied Black Hawk helicopter, to Lockheed Martin (NYSE: LMT) in 2015 for $9 billion. UTX is reliant on the aerospace industry, a sector now in the ascendancy. However, the company also enjoys a highly diversified product portfolio that protects it from the ebbs and flows of its cyclical businesses. UTX is a large conglomerate with an established presence in the industrial sector. At the same time, it develops “disruptive technologies” in targeted niches that lay the groundwork for market-beating growth. Consequently, this industrial giant isn’t just a proxy for the broader markets, as is often the case with industrial companies of this size. UTX’s business divisions include Pratt & Whitney, builder of aircraft engines, gas turbines, and rocket engines; Otis, manufacturer and servicer of elevators, escalators, and moving walkways; Carrier, maker of heating, ventilation, and air conditioning units; and UTC Fire & Security, maker of fire detection and suppression systems, access control systems, and security alarm systems. Through Otis and Carrier, UTX is the world’s largest maker of elevators and air conditioners, products that are experiencing greater demand as commercial and residential construction activity picks up. In addition, urbanization will remain a powerful force throughout the next decade, providing large contract possibilities for Otis, Carrier and UTC Fire & Security. UTX’s FPE is 16.8, cheaper than the median FPE for aerospace/defense. The average analyst expectation is that UTX will generate five-year earnings growth of 8.4%, on an annualized basis. Free cash flow in 2018 came in at $4.4 billion, compared to $3.6 billion in 2017. The dividend yield is 2.23%. Despite the financial media’s fetish with U.S. rival China, these three industrial plays show that American “know how” remains a force to be reckoned with.